Around the world there are building height restrictions that determine what equipment is suitable for a production line. This means that the planning goals for a new or existing facility are often compromised by the functional restrictions of the building. Additionally, where tall mixing towers are a possibility, companies are increasingly concerned by the increased safety issues involved with operator access in cleaning, filling and maintaining such processes. The increased running and maintenance costs that come with a much larger facility also need to be considered. In this article we discuss the alternatives to tall towers and the increased benefits of a flexible mixing system for food and dairy manufacturers. We’ll look at how a modular system can help you adhere to regulatory requirements, eliminate cleaning down-time and mitigate segregation problems, increasing flexibility - enabling you to produce what you want, when you want. We sat with Dave Newell, one of Matcon’s food and dairy specialists, to understand the mixing problems he encounters in his conversations with manufacturers and how he’s able to help them. Increasingly, planning restrictions are making the installation of tall towers difficult. Typically, there is a 6-7 metre distance (floor to ceiling) of permitted usable space in most factories however most fixed mixing towers sit higher than this once installed. Recently a Dairy company in the South East Asia region approached us after encountering this exact same problem. The company received a number of questions from their local authority because their facility blueprints showed a high ceiling height. The issue escalated so much that the local community had initiated discussions about compensation payments. We helped them out of this situation by introducing our flexible mixing system, installed well below the nine metre height restriction. This will save the facility a huge amount on building costs and eliminate any compensation costs. The added benefits were less downtime through cleaning and ultimately greater productivity and profitability. 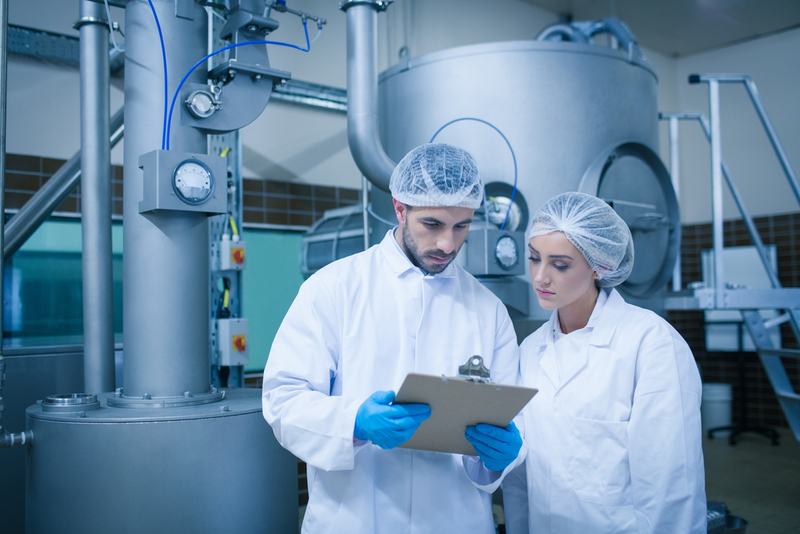 Find out how you can grow your food & nutrition manufacturing without facility expansion in this blog article. Our recommended solution: Install an Intermediate Bulk Container (IBC) mixing system utilising portable IBC’s that fits beneath the applicable ceiling height rather than a tall mixing tower. Easy and safe to clean and maintain without the need for a stairway etc. The size of the dairy or food facility is usually dictated by the dimensions of the processing equipment, which vary usually according to the volumes and number of recipes being produced. For instance, whether you prefer a fixed or mobile mixer system, conveyors or mobile units e.g. IBCs (Intermediate Bulk Containers). The accumulating, on-going building costs of a larger facility due to the installation of a tall mixing tower compared to a lower height building can be immense. When you factor the additional utility costs i.e. lighting, air conditioning and maintenance necessary, you can understand why most manufacturing businesses research the best processing equipment before choosing or building their facility. You need the highest hygiene levels, equipment that is sealed, contained and easy to validate without contamination risks. Our recommended solution: The fully enclosed Matcon IBC Blending system. Each IBC (Intermediate Bulk Container) is a sealed unit (no open transfers) therefore there is no risk of contamination for either liquid or airborne ingredients. Our recommended solution: In using IBCs (Intermediate Bulk Containers) instead of one tower fixed mixer, there is no need for long down-times due to maintenance in the line or continuous cleaning. No operators will have to climb high ladders and risk safety by leaning into tower fixed mixers to maintain or clean them. There is no need to clean the IBC Blender and cleaning of the IBC’s is performed off line away from production. You need the flexibility to change batch sizes, product types and in some cases, produce small orders without having to clean the production line in-between each change over so reducing down-time. IBCs come in a wide range of IBC sizes from 50 litres to 3500 litres to match specific requirements. Small scale IBCs are best for processing small order sizes, whilst bigger batches or combining lots are achievable with large scale IBCs. 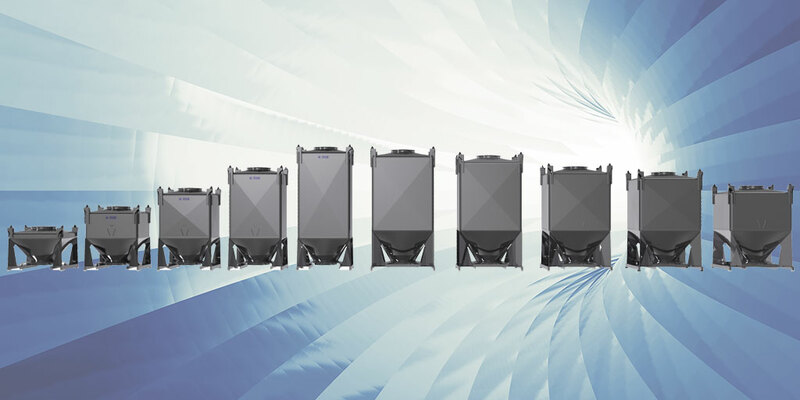 With a flexible line-up of IBCs, most production requirements can be met. Every manufacturer faces their own unique manufacturing challenges. The primary advantage of the IBC system is its flexibility to meet these challenges at a cost-effective price point and using the minimal amount of facility space. Here’s a summary of the distinctive benefits manufacturers realise with adaptable IBC based production and mixing. Reduces loading time from a week to a day! Throughout this blog we’ve talked a lot about the theory of IBCs. To help you see how a system like this could help you, we’ve prepared a case that details the work we carried out for ‘Hero’, one of our dairy clients. Click on the link below to read it.